Cult heroes; every club has players from the past who particularly stand out and are remembered for many reasons. A cult hero is admired by a relatively small audience but remains influential all the same. Here at Shoot!, we want to give these players the appreciation they deserve. This week we’re taking a look back at former Sheffield Wednesday midfielder Trond Egil Soltvedt. Norwegian born Soltvedt gained two caps for his national side and was on the top of his game in the late 1990’s. The 6ft 1” Scandinavian signed for Ny-Krohnborg as a youth in 1985, Solvedt embarked on an eighteen year journey in professional football. Having begun senior football at Norwegian outfit Viking in 1988, Trond is fondly remembered in the UK having featured for Coventry City, Southampton and finally Sheffield Wednesday between 1997 and 2003. Soltvedt made a total of 161 league appearances within the English game. 74 of those league appearances came for Sheffield Wednesday between the years 2001 and 2003 whereby he managed to get his name on the score sheet on two occasions. Trond Egil Solvedt initially came to the UK signing for Gordon Strachan’s Coventry City in the summer of 1997. The reported fee was around £500,000. After a successful two years at Coventry, Trond was signed by Southampton under manager Dave Jones before finding himself at Sheffield Wednesday on loan after Jones was replaced by Glenn Hoddle and Solvedt began struggle holding down a first team place. He made his league debut for the Owls, aged 33, on the 13th February 2001 in a 1-0 victory against Tranmere Rovers at Hillsborough. The tall, casual ‘laid back’ central midfielder who had an eye for a pass and could also carry out defensive duties signed permanently for Sheffield Wednesday in March of 2001 under then Owls boss Peter Shreeves. The fee was thought to be around 200,000 based on appearances made. Stuart Ripley also arrived at Hillsborough from Southampton on loan for the remainder of the season. Wednesdayites may remember Solvedt notching a League Cup Semi-Final 2nd leg goal against Blackburn Rovers at Ewood Park in January 2002. The Owls lost 4-2 that night, crashing out 6-3 on aggregate. Wednesday narrowly missed out on a major trophy cup final appearance in what otherwise was a poor season, they went on to finish 20th in the first division and narrowly miss relegation. Solvedt was given the honour of Owls club captain and remained at S6 for a total of three years. 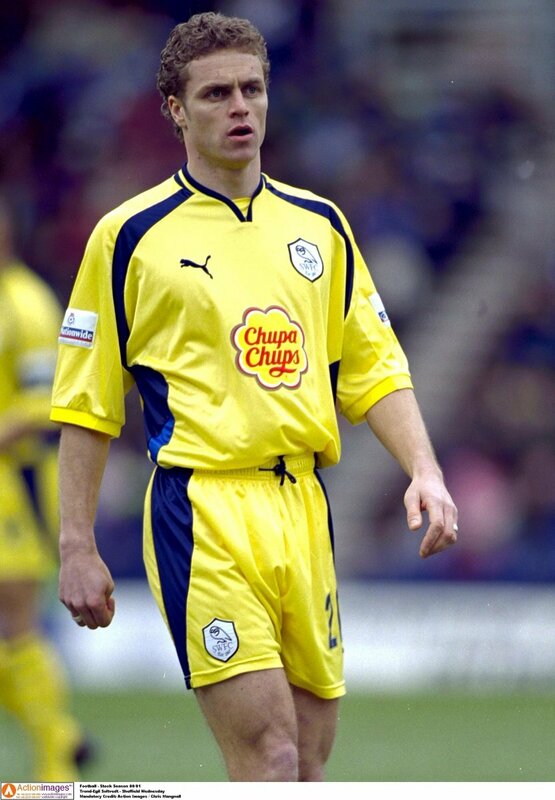 Unfortunatly for Trond, he joined Sheffield Wednesday having already played at the peak of his career at Coventry City and was unable to prevent the Owls from relegation at the end of the 2002-2003 campaign. In addition, he was then released and he returned to his nation of birth, Norway. It is understood that Trond began playing lower league football but never found an alternative career in the professional game. We would like to thank Trond Egil Solvedt for the fond memories he has left us during his career in the English game.